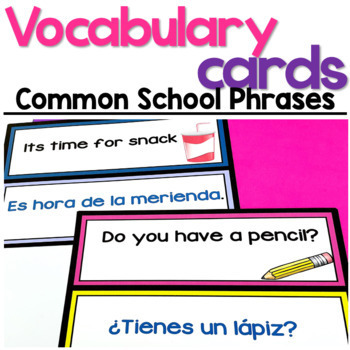 Help your English Language Learners get adjusted to their new classroom by teaching them school phrases. Each phrase is a common phrase a teacher might say to their students. 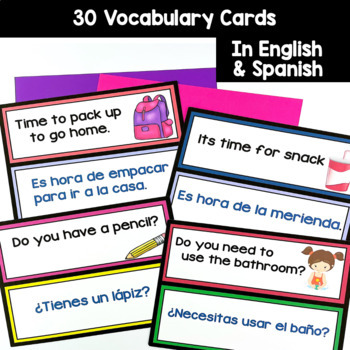 Each vocabulary card is color coded and has pictures for your students to use as a reference. 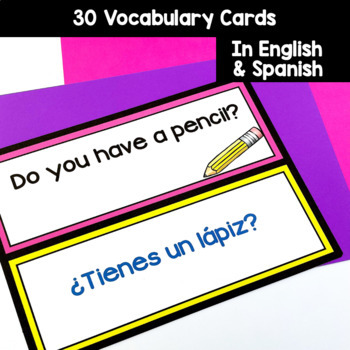 Thirty vocabulary card are included in this product.